PadDock 10 For iPad: Turn Your iPad Into An iMac! The iPad is great for travelling and for use while you are on the go. But when you are at home, sometimes you just want to be able to use it hands-free. 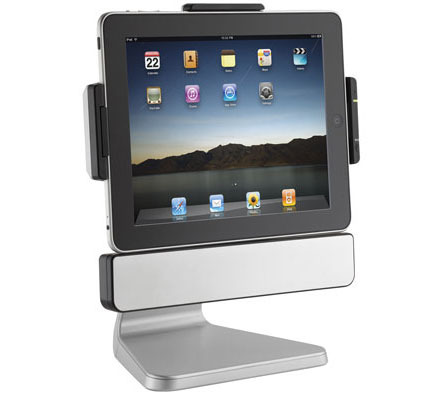 SMK-Link has created an iPad dock that lets you use your iPad like an iMac! The PadDock 10 stand for iPad offers speakers, charging, syncing and rotation. It has a switch on the side of the PadDock that allows you to switch between charge and sync modes without changing cables. You can also rotate the iPad 360 degrees, with stops every 90 degrees.